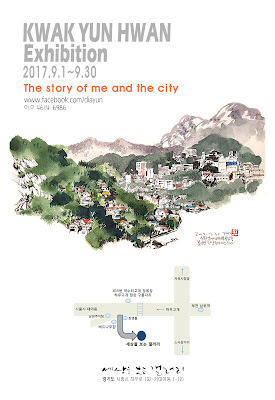 9월 한 달동안 <<세상을 보는 갤러리>>에서 전시가 열립니다. 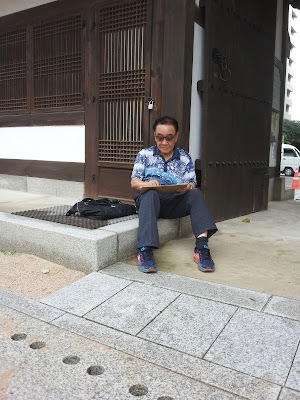 오픈식이나 그런건 없고 이곳에 알리는게 맞는것 같아서 올립니다. 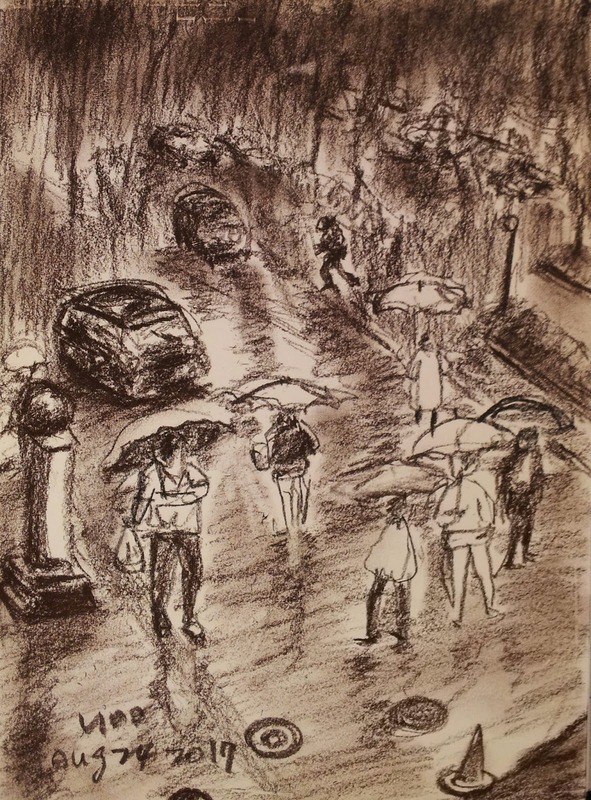 Today it rained so much. After lunch I dropped in Burger King Jongno district branch, Susong-dong as usual. 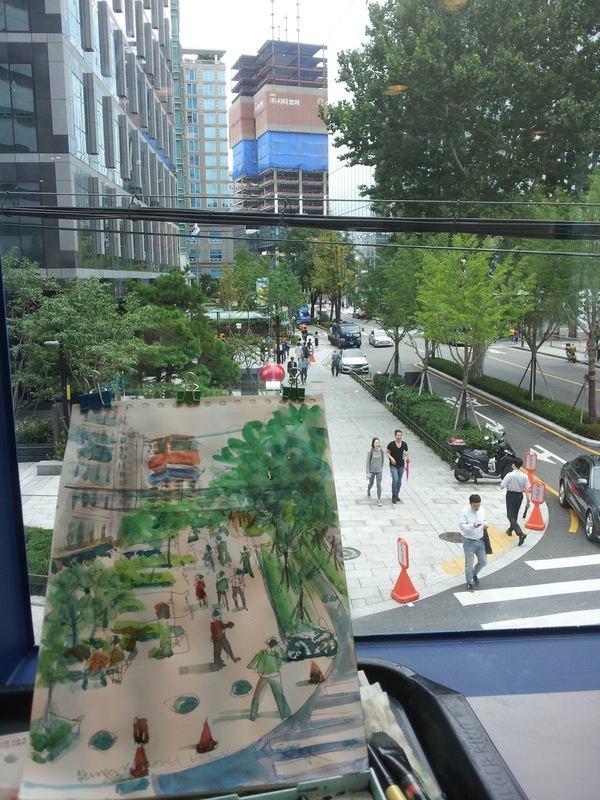 Because the views seen through the big pane glasses on both sides is so great that I like to sketch the changing scenes by buildings under construction and colored leaves on trees. It was nice to see the colorful umbrellas inside having a cup of coffee. It got darker in heavy raining and got lighter after pouring. 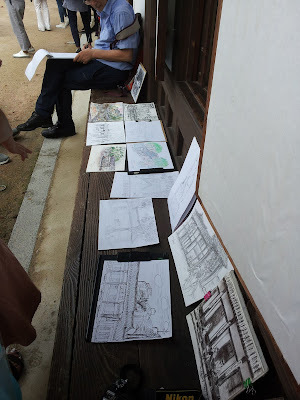 While drawing the second one a middle aged woman came to me and addressed to me. 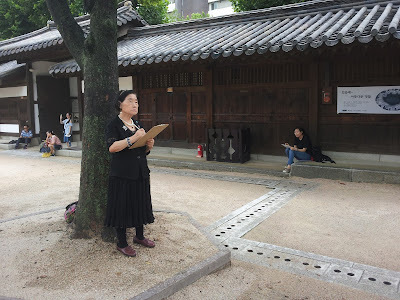 Her daughter is studying art in univ. 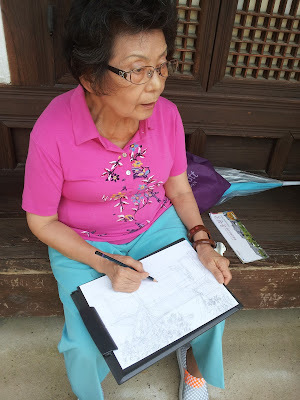 She said that I looked so nice sketching alone. 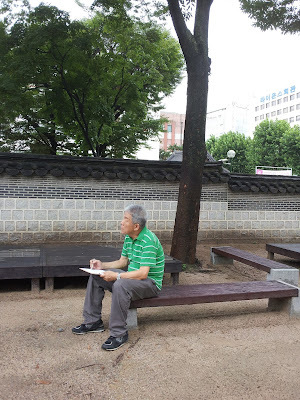 We shared talking about kids and ourselves. 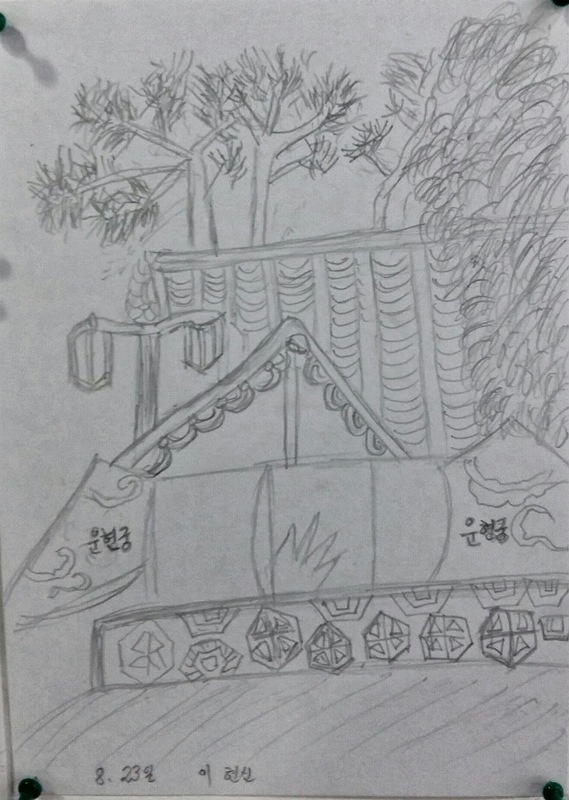 Though it was a short time the memory we shared might go long. 오늘 오전에 비가 많이 왔지요. 조계사에서 채식 식사를 하고 근처의 버거킹에서 시원한 커피를 한잔 하며 비오는 거리를 그렸습니다. 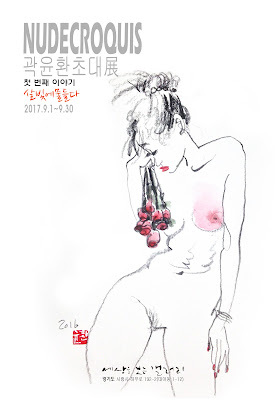 거의 칠흑같은 분위기도 내다가 곧 밝아지기도 하는 등 참으로 자연의 조화가 장관이었습니다. 비록 도심의 풍경이지만 올라가는 건물의 변화하는 모습과 가을색으로 바뀌기 시작하는 나무 색으로 또 한해가 가는구나 하고 느끼며 그렸습니다. 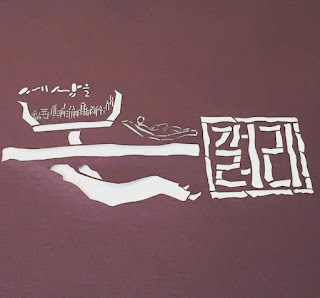 두번째 그리는 중에 옆으로 중년 부인께서 앉으시며 그리는 모습이 멋지다고 인사를 했어요. 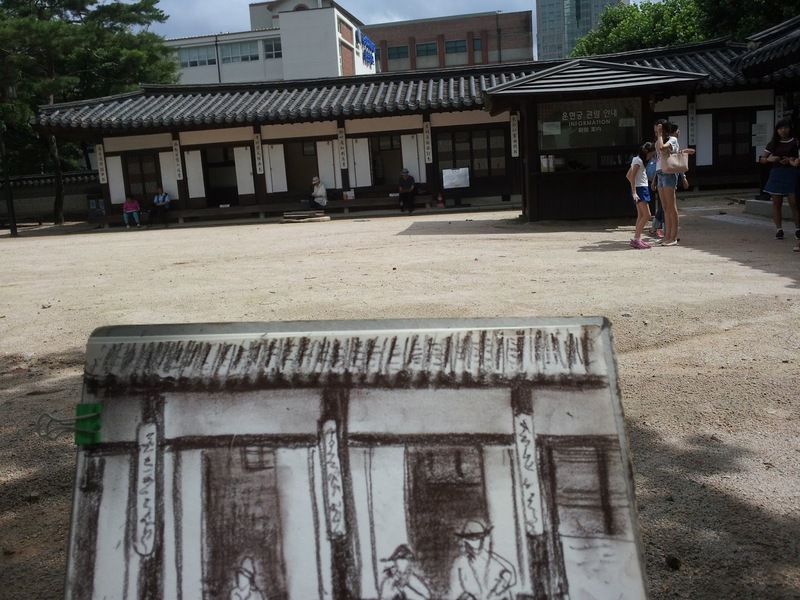 딸이 그림을 하니 아무래도 관심을 갖게 되셨나 봅니다. 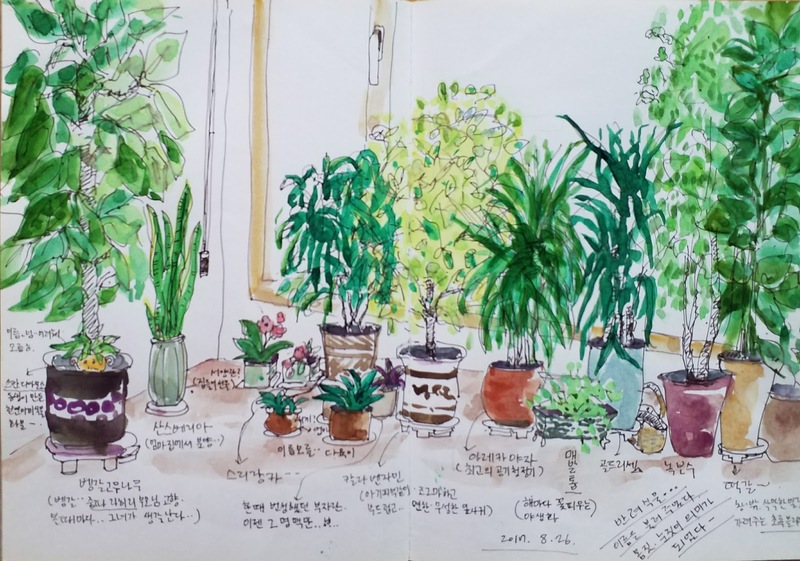 이런 저런 이야기를 하고 일행이 있어 자신의 자리로 돌아갔습니다. 그림 한장이 사람의 마음을 열게 하는 묘한 역할을 합니다. 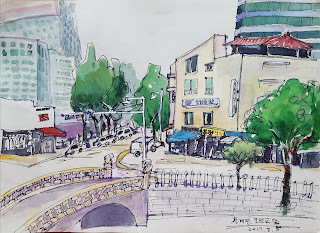 Since it's too ordinary, I've considered there weren't anything special to be worth painting about the landscape of the street on my way to work. 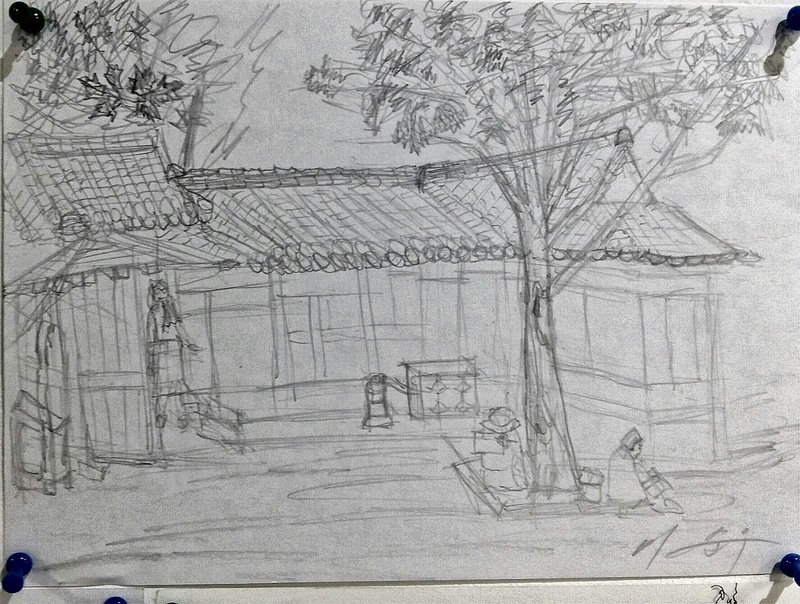 Usually, I used to look for sorts of attractive places to draw for nice works. 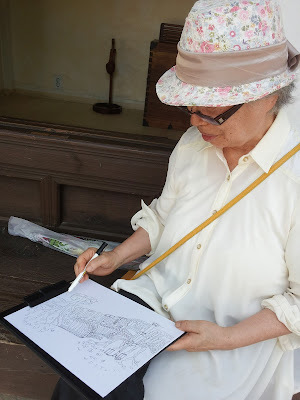 But there was no need to go to a special location to sketch indeed. 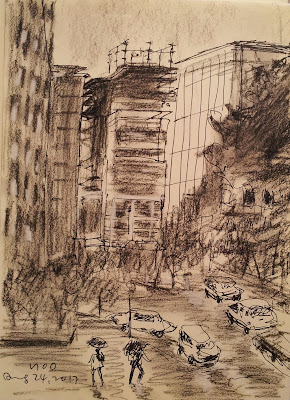 If the scenery I've ever seen seems too banal, it means that my ways of seeing are too hackneyed. 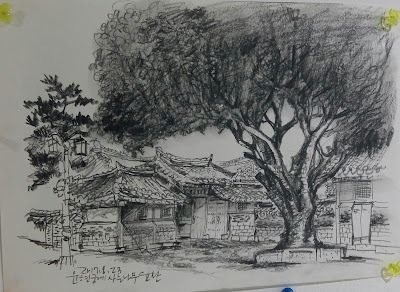 그것을 보는 나의 시선이 진부하기 때문일 것입니다. 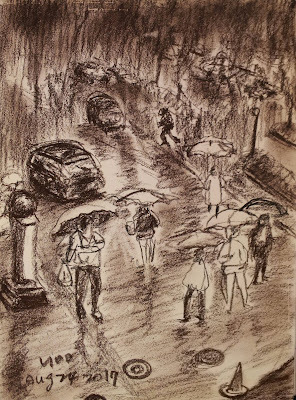 Today it rained heavily in the morning. But the senior participants for the second workshop gathered one by one near to ten. 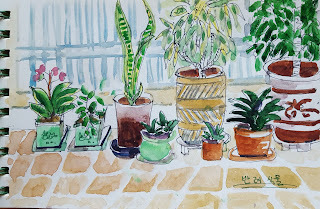 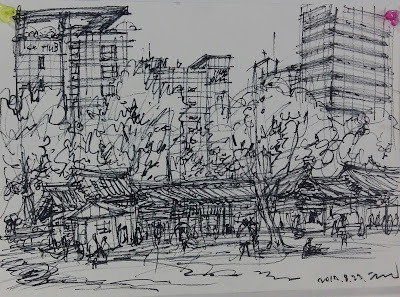 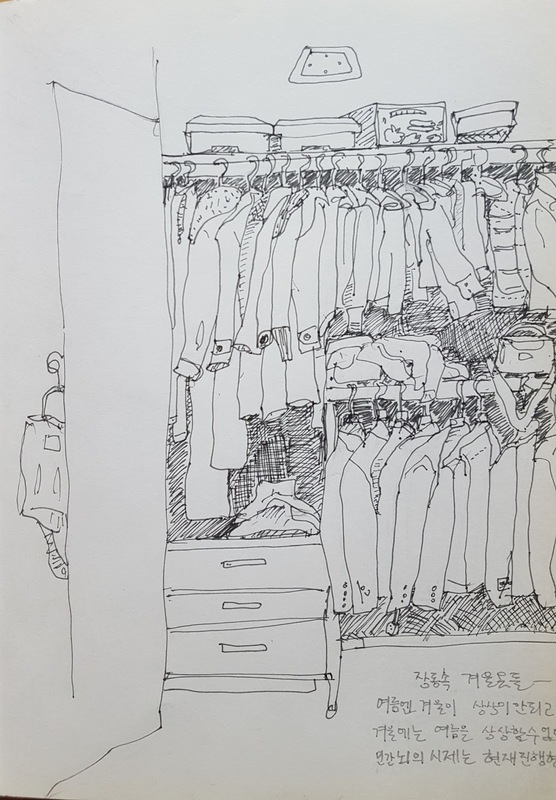 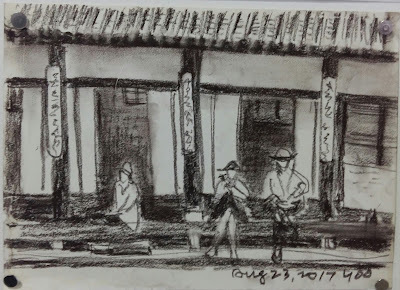 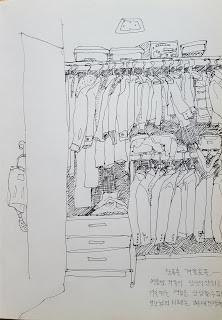 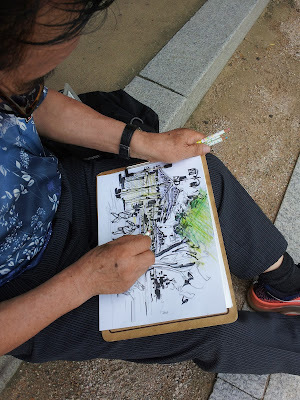 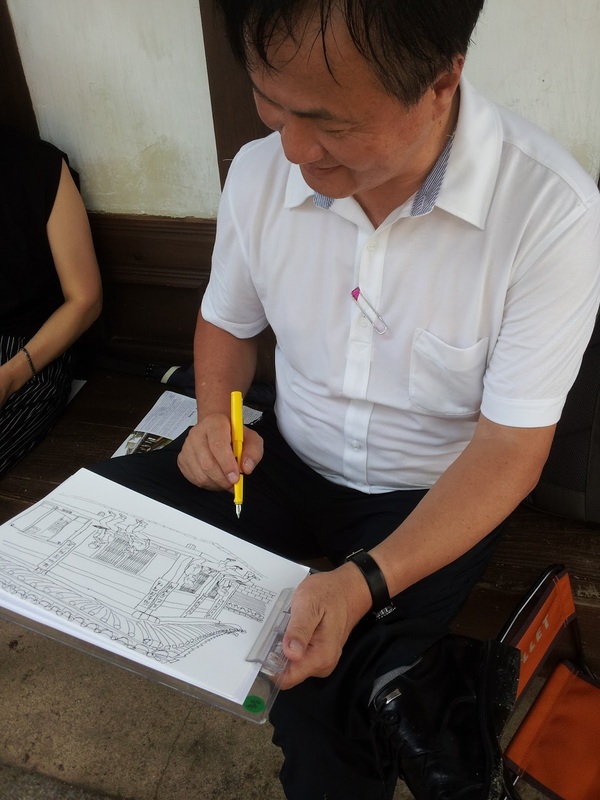 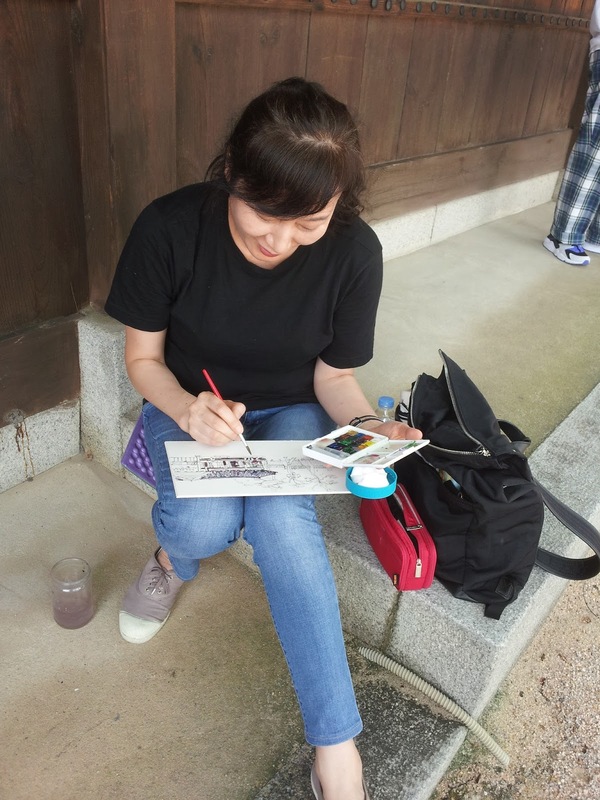 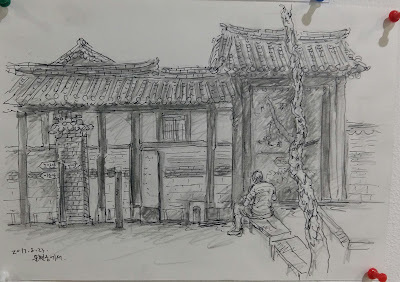 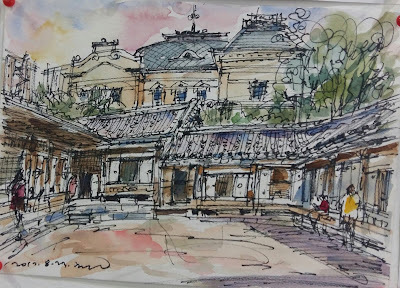 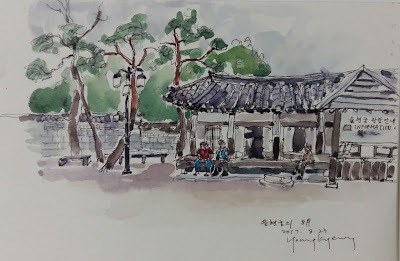 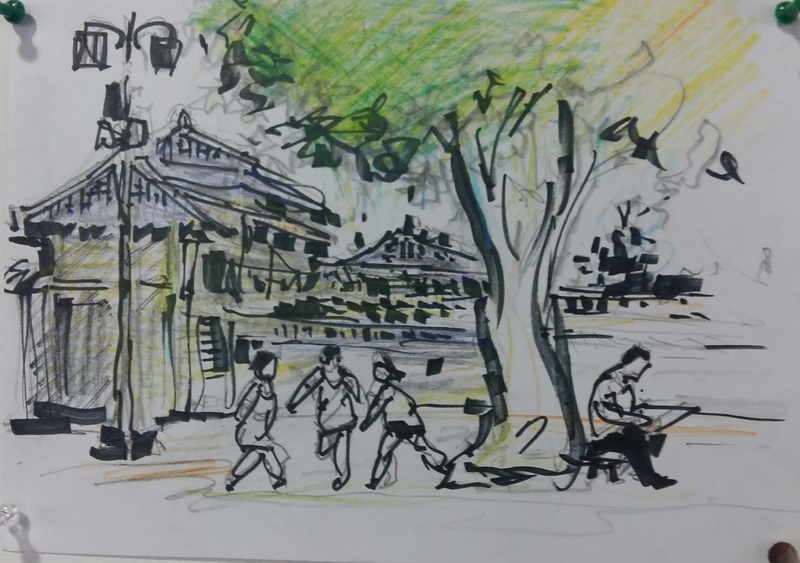 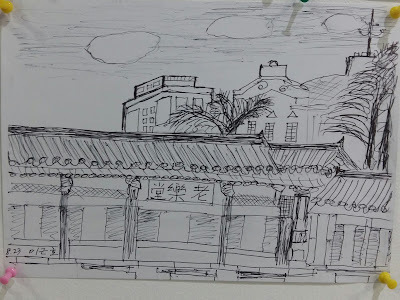 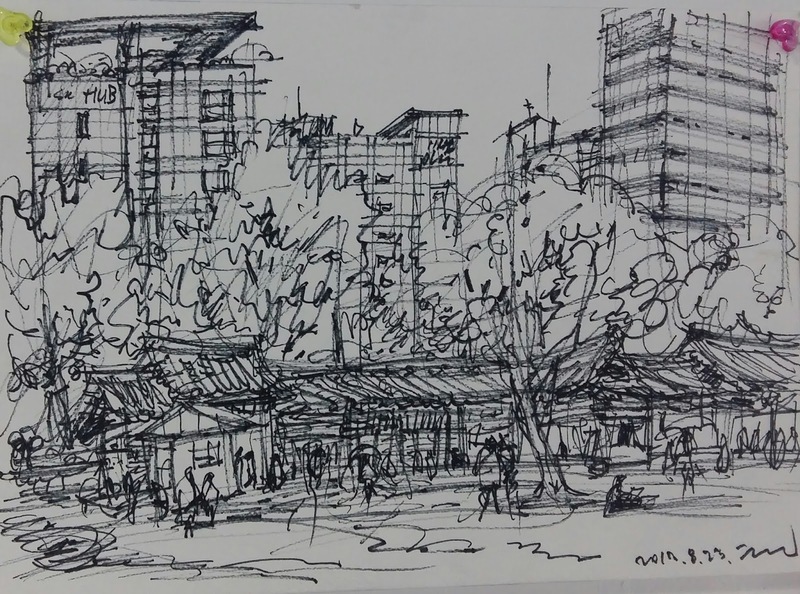 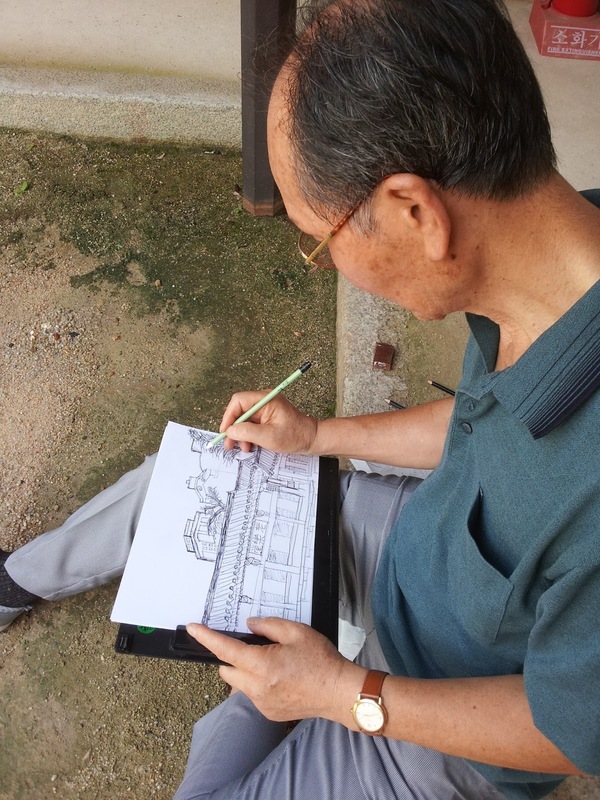 And seven Seoul urban sketchers joined. 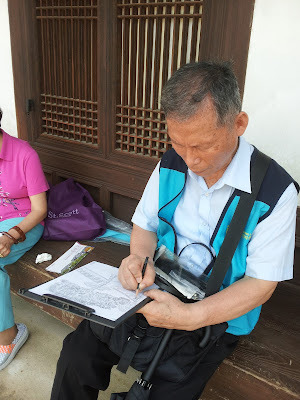 Because the raining stopped almost at the planned time, 1:30 pm, we decided to go to Unhyeongung according to the plan. On the contrary it began to shine and got hot. 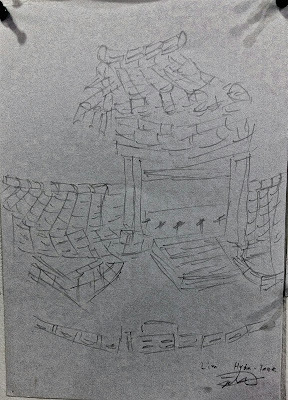 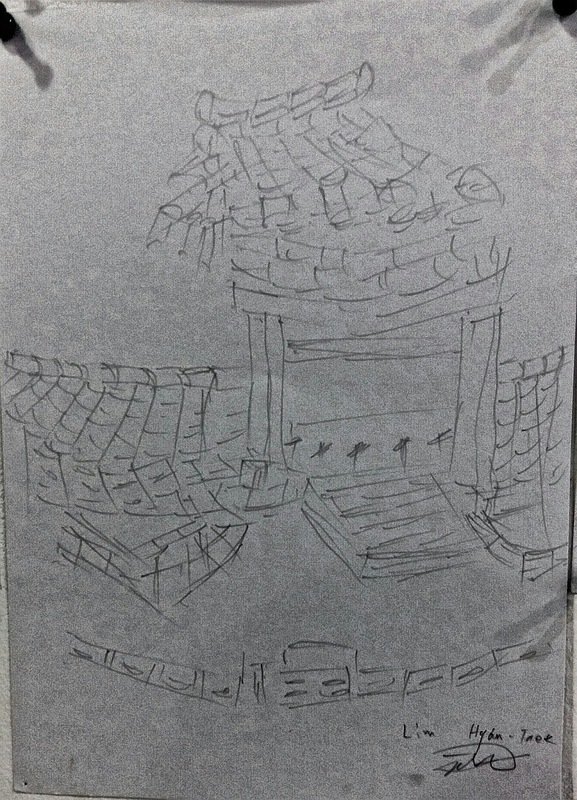 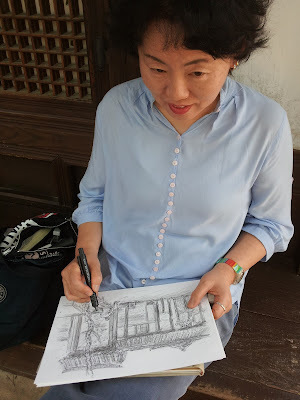 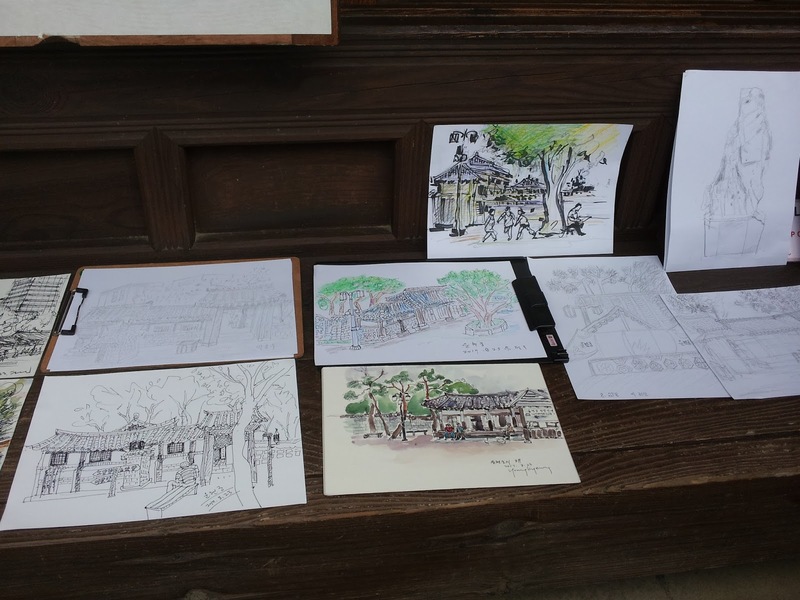 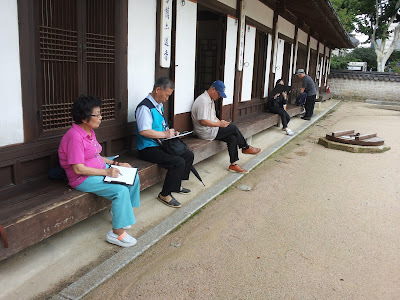 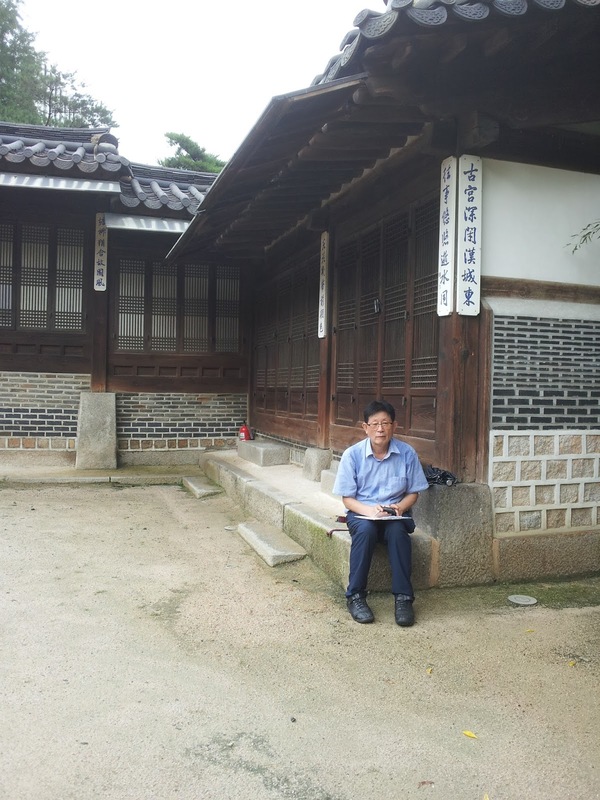 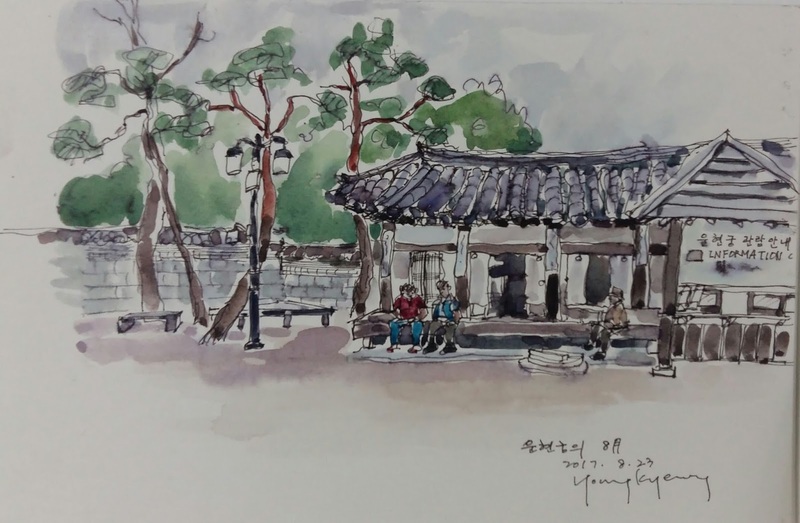 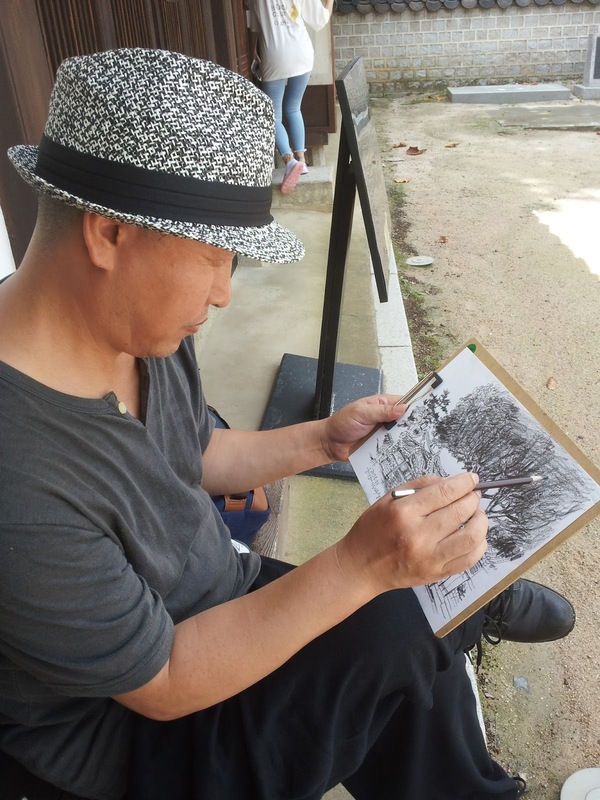 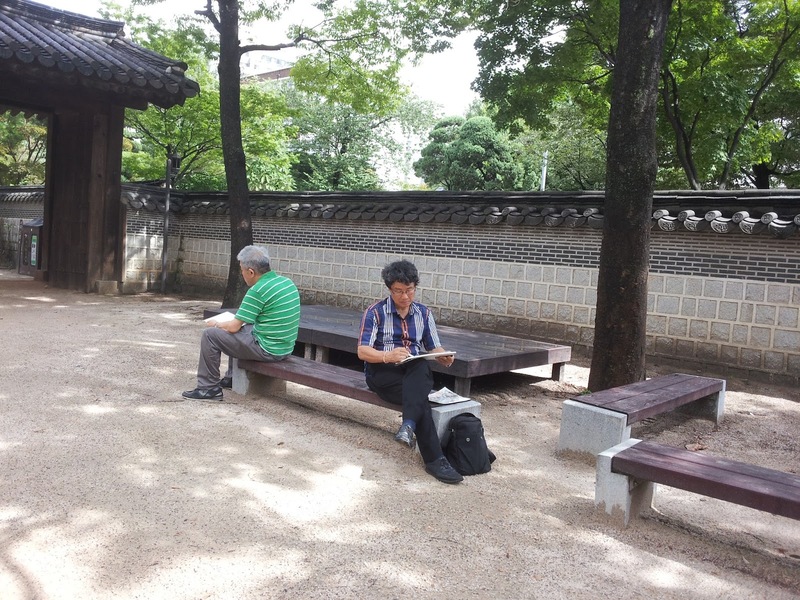 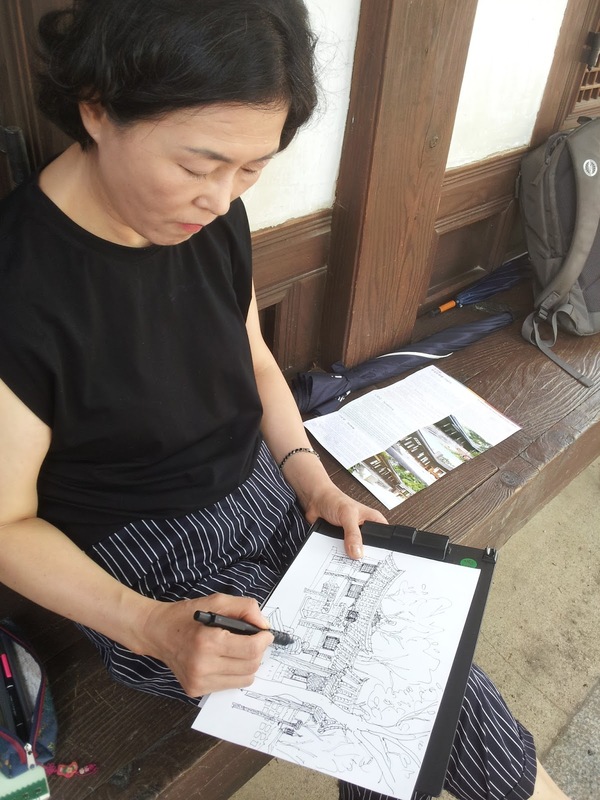 Though the small palace which was the residence of King Gojong's father in Joseon Dynasty located at across the welfare center some participants said it was their first visit and the palace looked so wonderful that they felt happy to sketch the beautiful scenery. 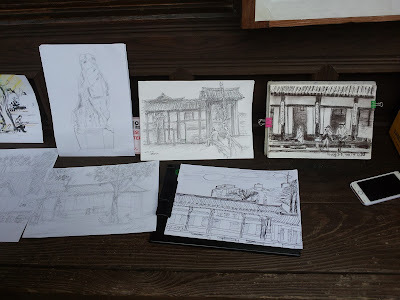 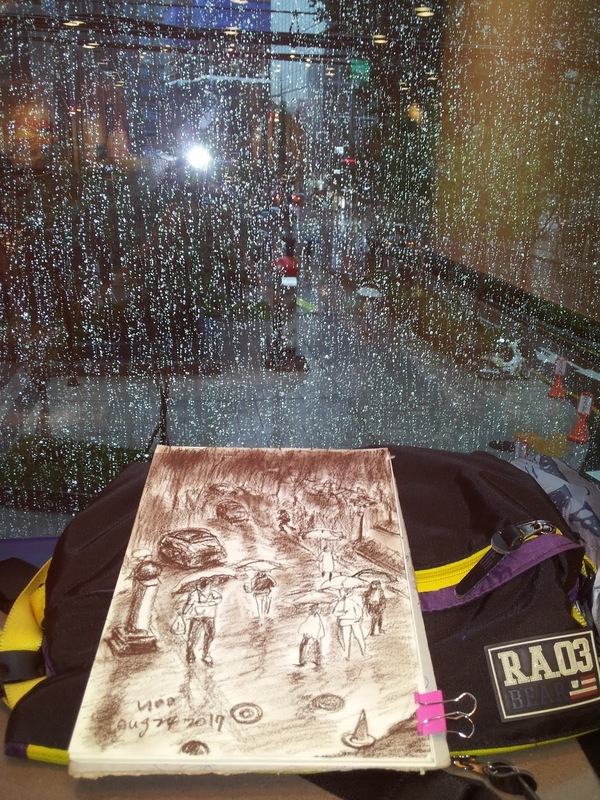 We kept sketching here and there during one hour and had an on-the-spot show on the wooden attached floor. We came back to the center and hung them on the wall. 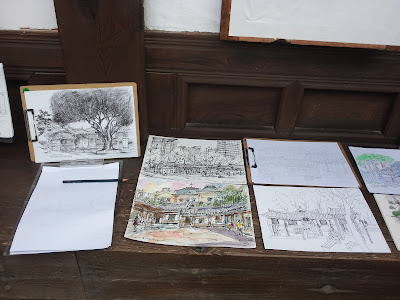 We finished two times' workshops merrily and successfully. 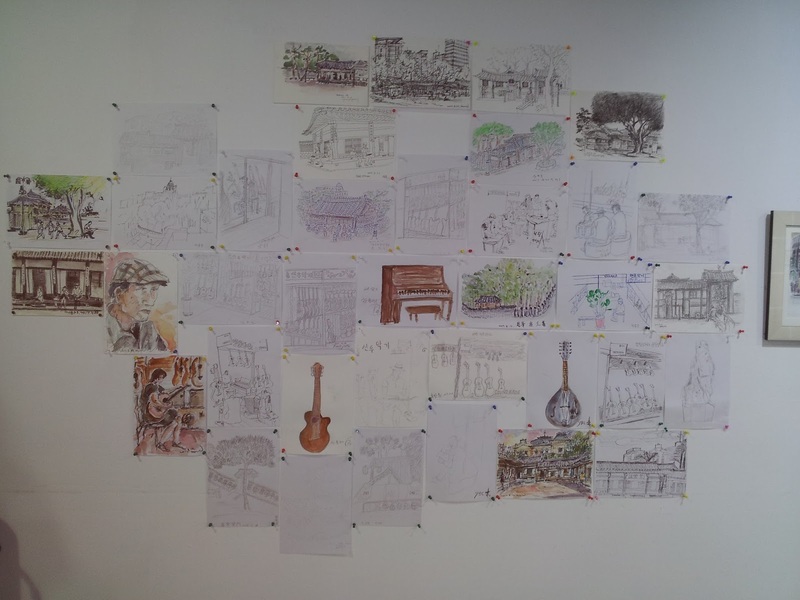 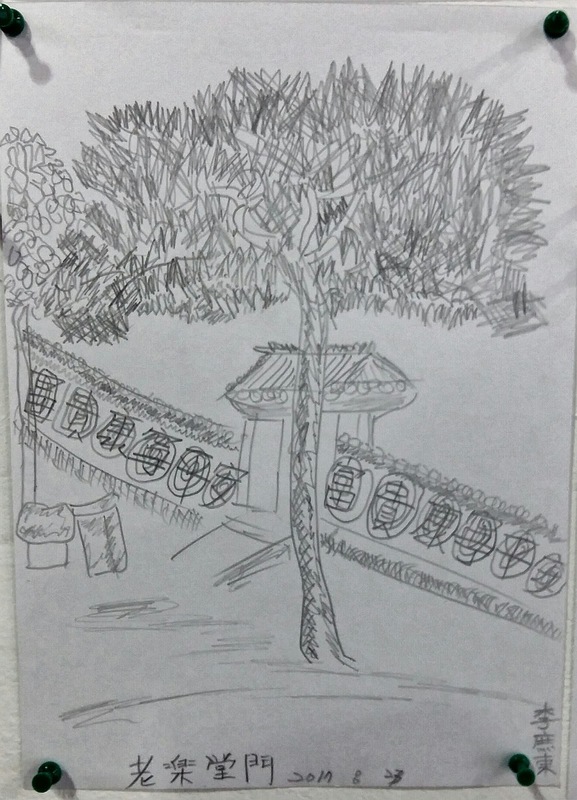 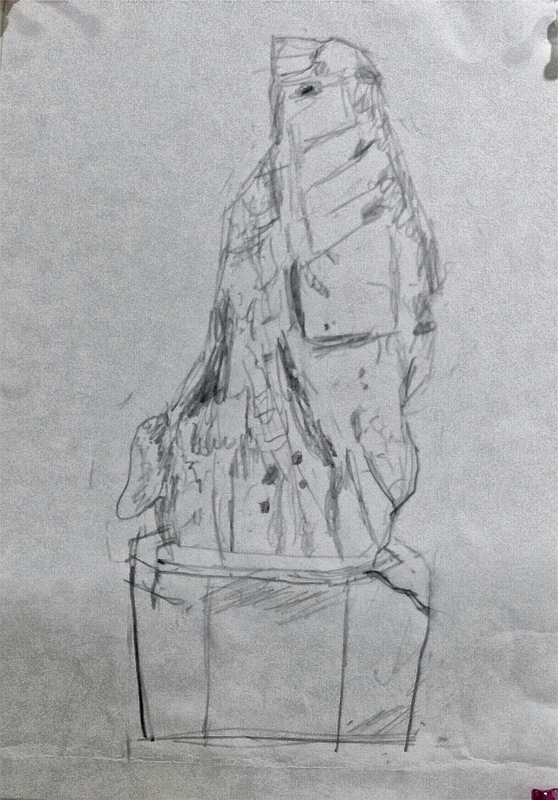 All the participants felt pleasant sense of unity in sketching and sharing together. 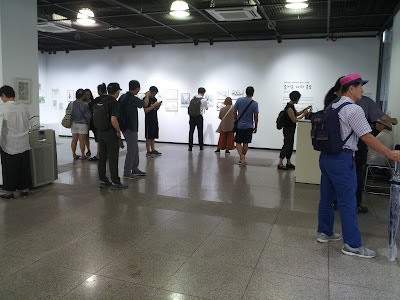 We thank all the staffs in the Topgoal Art Center for the considerate supports and the passionate participants on terrible hot or rainy days. 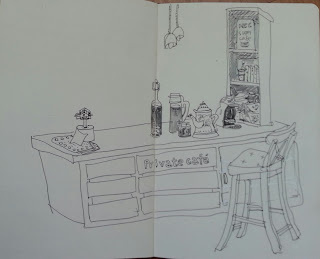 We hope to have chances to sketch together in our sketching meetups. Thank you all!!! 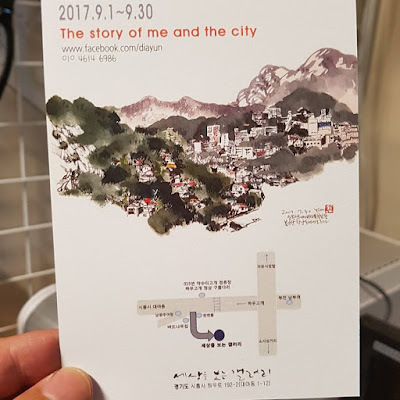 오늘 오전에 비가 무섭게 내려서 걱정을 많이 했습니다. 그러나 시간이 되면서 갤러리가 참여 열기로 활기찼어요. 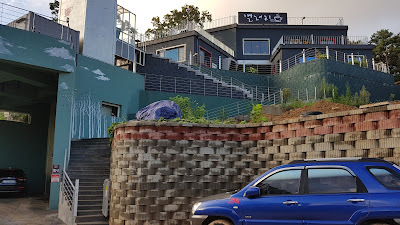 마침 비도 그치고 오히려 해가 나면서 뜨거워지기까지 하더군요. 운현궁으로 건너가는 길의 따가운 햇살이 반갑기까지 했습니다. 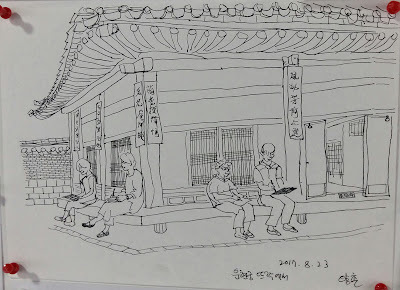 5분 거리의 운현궁은 비온 후라 나무도 한층 보기 좋더군요. 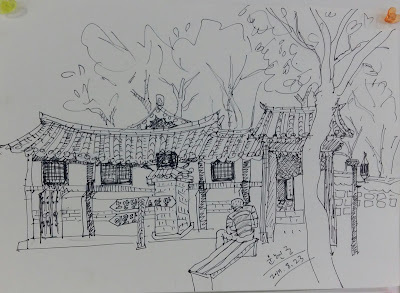 한시간 정도 진지하게 그림을 그리시고 툇마루에 그림을 전시했어요. 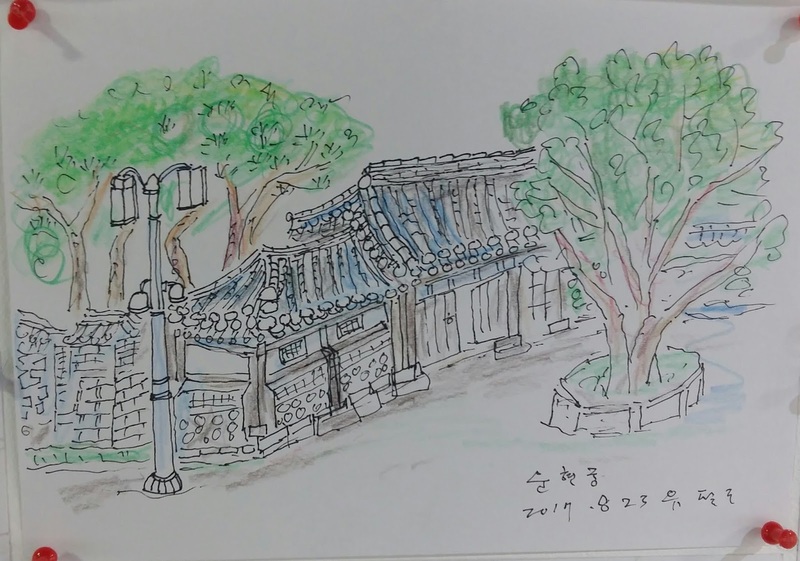 곧바로 미술관으로 돌아와서 그림을 걸었습니다. 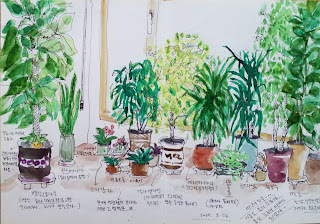 큐레이터 선생님께서 역시 수고가 많으셨습니다. 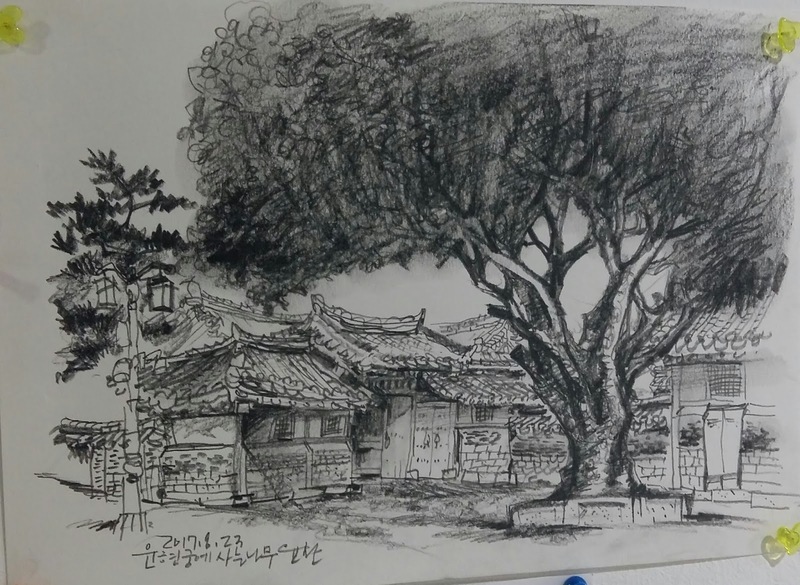 두번의 워크샵을 진행하면서 참으로 많은 것을 느꼈습니다. 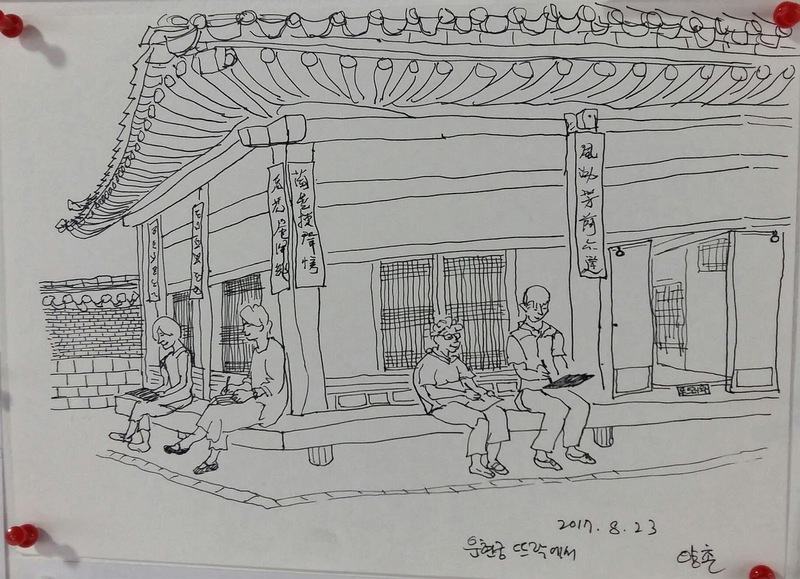 연세와 상관없이 어릴 적의 그 순수한 동심은 그대로 살아 있다는 것을 알게 되었어요. 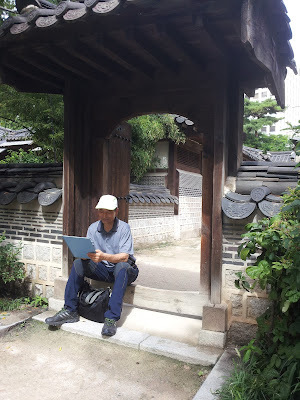 그리고 그림을 꾸준히 해오신 어르신들도 계셨고 그 솜씨와 진지함은 큰 깨우침으로 마음깊이 새겨졌습니다. 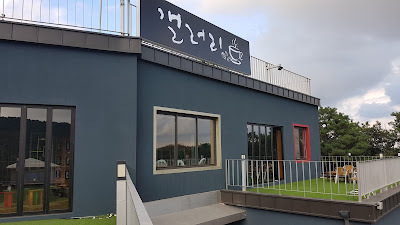 전시는 이틀후에 끝나지만 어르신들과 함께한 스케치 여행은 두고 두고 잊지 못할 아름답고 소중한 추억이 될 것입니다. 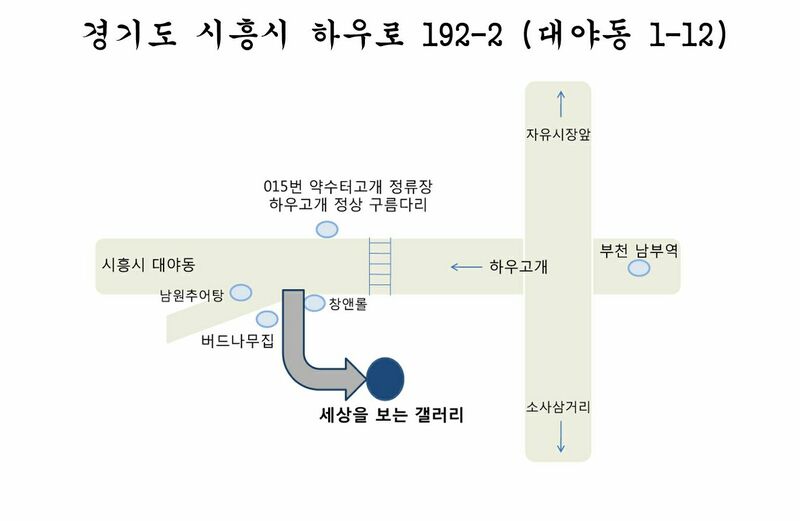 이번에 참여하신 분들 가운데 저희 모임에 꼭 참여하시겠다고 그림 도구 일체를 준비하고 출격의 그날을 기다리시는 분들도 계십니다. 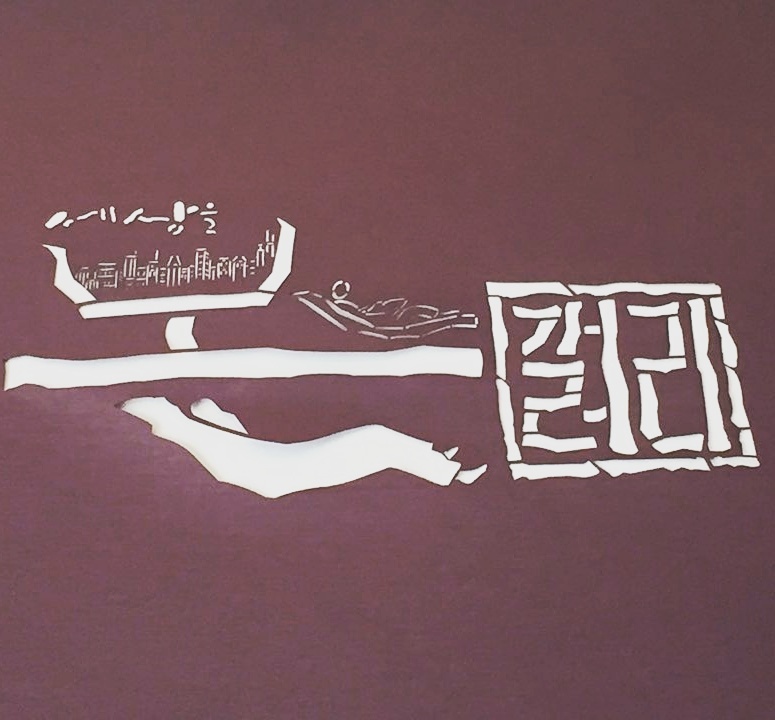 이번 전시회가 너무 좋았다고 미술관 선생님들과 도슨트님들께서 한 목소리로 말씀하시는 것을 들을 때 이번 전시가 나눔의 울림이 진정 컸다는 것에 그동안 해 왔던 어느 전시회보다 감동하게 됩니다. 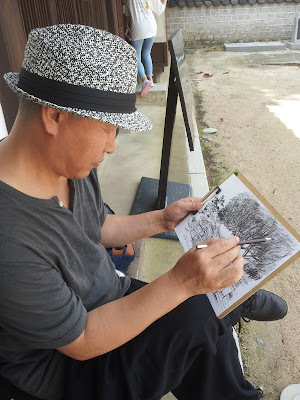 이번 전시를 초대해주신 탑골 미술관의 선생님들과 두주일의 전시기간중에 깨알같은 안내 말씀을 관객분들께 전해주신 도슨트 선생님들께도 진심으로 감사드립니다. 훌륭한 전시장을 가득 멋진 작품들로 가득 채워주신 작가님들 올 여름 정말 수고 많으셨습니다. 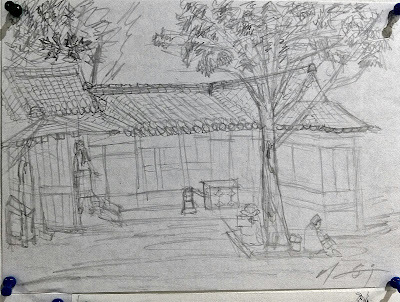 감사합니다! 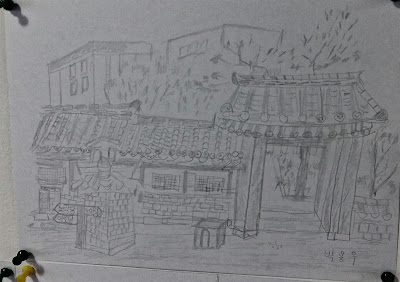 The first royal palace of Korea "Gyeongbokgung"